I only recently joined this forum. 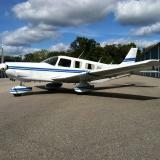 I'm a private pilot with instrument rating living in Northern New Jersey. I've been looking at six seaters and wanted to learn more about Saratogas. I've looked at some at a brokerage and went on a short flight with the salesperson but I'd prefer to get my information from an actual owner. In particular, I'm curious what they are like to fly and would greatly appreciate it if someone would be willing to take me along on a short-trip; happy to pay for fuel and other costs. If there are any CFI Saratoga owners out there in my area, I'd love to pay you for a lesson so that I could get a sense of how they handle. I could also use some guidance with the plane purchase process once I confirm that's the plane I want. Hi and good hunting. The airframe on the Saratoga is tough and heavy-duty and is the same one as on my Seneca. If I didn't have a Seneca I would have the Saratoga. Good luck in your quest. Last edit: 3 years 2 months ago by Ken S.
Kens, thanks for your message. I have tons of questions. Responses to any of them would be much appreciated. Apologizes in advance if these are answered somewhere else. 1)What are the primary differences between the original Saratoga and the Saratoga II? 2)What's the typical cruise speed at altitudes where you don't need oxygen? Considering that my family is unwilling to wear oxygen masks, is there any point to me buying a turbo and paying the higher maintenance costs? 3)What do you think of the Avidyne displays? I have lots of experience in G1000 and a little with Aspen, but none with Avidyne. I like G1000 much more than Aspen. Is it true Avidynes require significant maintenance? 4)What are the typical annual costs and maintenance costs? Would you expect significantly higher maintenance costs for an older Saratoga vs. a Saratoga II? 5)Could it make sense to buy an older Saratoga and upgrade to Aspen or Garmin glass panel? Or would you keep the steam guage? It's been a couple of years since I have flown IFR with steam gauge but I suppose I could relearn. 6)How do the KFC 150 autopilots compare to the Stec in terms of flying coupled approaches? What about in terms of maintenance and other factors? 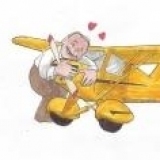 7)Is it true that bonanzas are more fun to fly than Saratogas? Hi Joe! Welcome to Piper Flyer Association. I'm sure that Ken and Scott will get back to you, in the meantime, here's a link to an article we did last year about the Saratoga. 2. Typical cruise speeds vary based on Saratoga vs. Saratoga II, if it is Turbo, how much the plane is loaded, are there speed mods, is it retractable vs fixed gear, etc, etc. etc, so it's hard to comment. But as far as getting a Turbo, it's purely a personal choice. If you want the additional airspeed / climb performance (or need to get up over mountains, or fly the higher altitudes) then you probably want the Turbo. Personally, I didn't want the extra maintenance (issues) that may have arisen with a Turbo. 3. Sorry, I have zero experience with Avidyne. 4. The number of hours to inspect the PA-32-301 during the annual is around 22 hours. So if there are NO additional issues found, expect the annual to cost around (22 hours x A&P rate) $2,200?? or so. The A&P obviously has to run through any AD's on the plane as well. Regarding older vs. newer Saratoga - that's a tough one. I would imagine that how well the plane had been previously maintained and stored (hangared, etc.) could have an impact. 5. Upgrade an older six pack question to a glass panel. I imagine this depends on your budget as well as what you would like to have in the cockpit. A personal preference and $$ related. 6. KFC150 vs STEC autopilot. Sorry, not familiar with the STEC autopilot, but I do have a KFC150 and like it. I have had no issues with it and it couples real nice for approaches. 7. 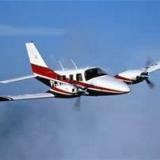 Not sure about Bonanza's vs Saratoga's for fun, never flew a Bonanza.